I don’t know if I’ve told you before… but I LOVE swiss chard! It just so happens to be my all time favourite thing to grow and it tastes pretty amazing too. Funnily enough I had never even heard of it before growing it back in 2013, the supermarkets don’t tend to stock it because it wilts too quickly and has a very short shelf life. Which makes the reasons to grow it even better! When it comes to growing it is extremely easy and comes with the added bonus of being biennial and a cut and come again leaf, which means you can pick until your hearts content! I usually sow my seeds in modules in the greenhouse rather than directly sowing in the soil. This usually works best for me as any seed that I put in the ground mysteriously dissapears, plus the slugs sure do love the little seedlings. I sowed this particular lot in March and last year I was picking chard right through the Winter and well into the new year. 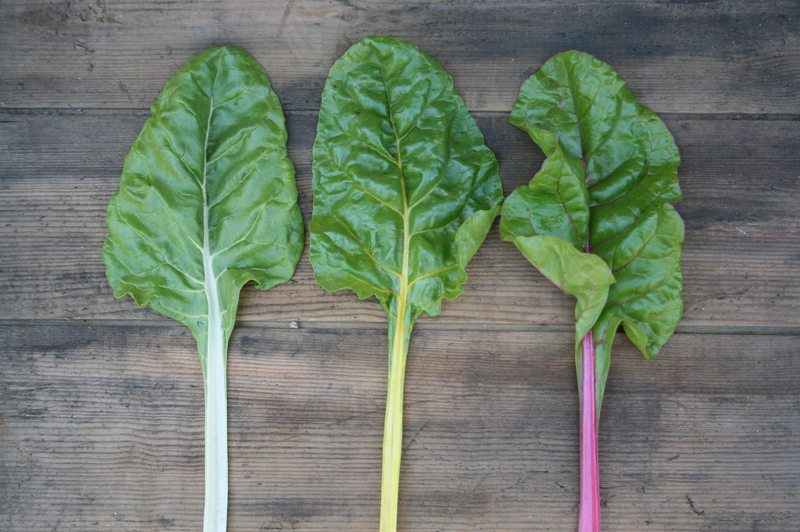 I’ll also quickly mention that I always grow a variety called ‘Rainbow Chard’, it consists of yellow, white and even pink coloured stalks which look so pretty in the vegetable beds up the allotment. Not only is it easy to grow but it tastes great too. It’s particularly tasty with chorizo and eggs and I love to add it in omelettes. 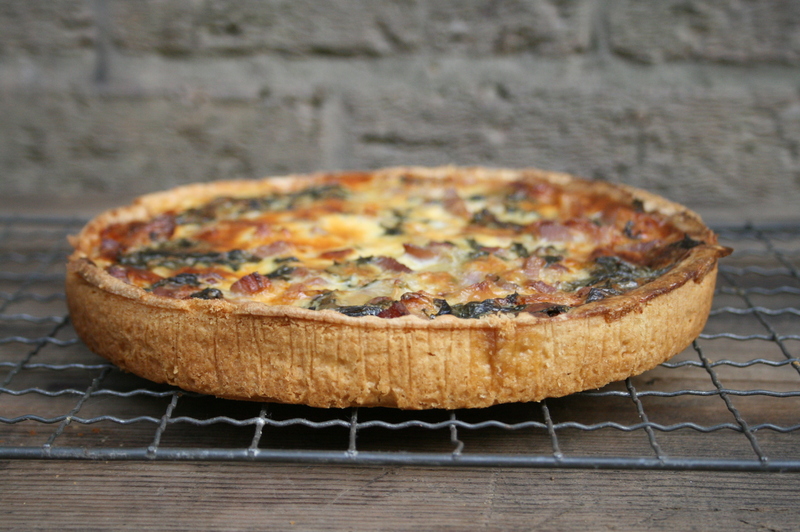 One of my favourite dishes however, has to be this quiche recipe which I’ll share with you below. We usually make 4 of these up at one time by doubling the recipe, we eat one for dinner and then freeze the rest until we need them. Who doesn’t love a nice slice of quiche on a Summers evening served with freshly picked salad on the side? Preheat the oven to 180c. Fry the shallots until soft then remove to a plate. Fry the bacon and remove to the same plate as the shallots. Chop up the chard stalks quite small and shred the leaves. Fry the ribs until tender, add the leaves to the pan, cover and wilt for 3 minutes. Beat the eggs and creme fraiche together and season with salt and pepper. In a large bowl toss the shallots, bacon, chard and grated cheese together. Fill the pastry cases with the mixture and then pour over the cream and egg mixture. Cook for 30 minutes or until the quiche has set. Looks delicious! 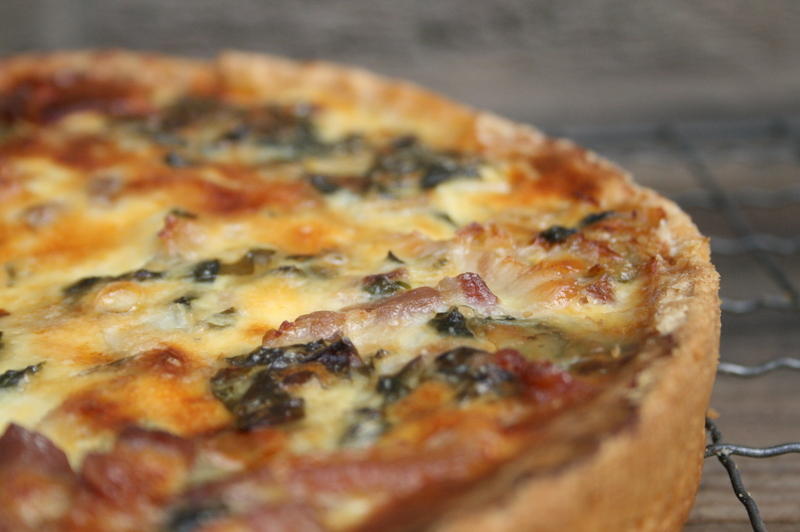 I’ve grown chard (“Bright Lights”) for the first time this year and have been using it in all kinds of dishes, but not quiche, so I’ll have to give your recipe a go – thanks for sharing! Great post. I’ve had some trouble with my swiss chard after trying to grow it for the first time this year. I sowed it in March and it was the bright lights variety at our allotment but it has been very slow to grow and some of them are running to seed already despite being quite small. Any advice? Looks amazingly yummie 😉 How big are the quiches? Planning on making these tommorow. Can’t comment via uTube as not registered but have been looking at your June Update. Don’t give up on the garlic! Mine were rubbish last year but this year growing Flavor and have got about 75 plants from a pack of three bulbs. Planted out in early April after bringing on in modules.Tops look great and the first few bulbs are full.The alliums including leeks are doing well up here in the north of England. But as for the chard ….my favourite too…it’s been struggling and needs protection from the voracious sparrows.Maybe the follow on planting will fair better? 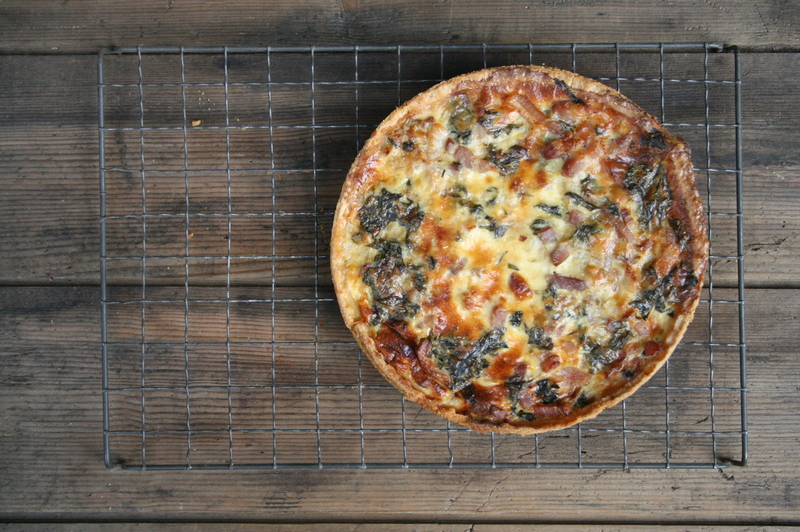 Might try this quiche but chard is so versatile anyway.I grow the single varieties which have the larger stems.